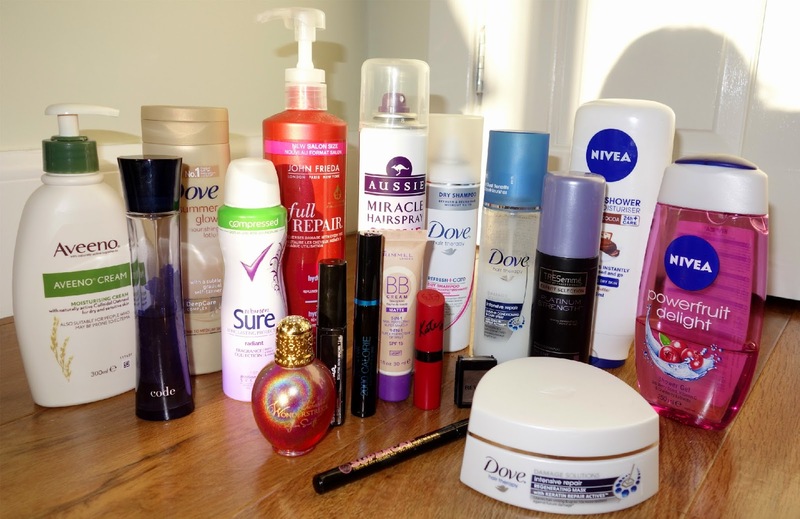 I really enjoyed writing and taking the photos for my 2014 beauty favourites yesterday, so I thought I would blog another instalment of my 2014 favourites: miscellaneous items. Items included in my miscellaneous favourites are just random items I've really been enjoying over the duration of this year. A Short History of the First World War. Since travelling to Belgium in the Summer, I've been fascinated with everything to do with the first world war. I didn't actually know much about the first world war, as I wasn't ever taught it in great depth during high school, but this is definitely a book I've enjoyed reading this year. The book is very easy to understand for someone who isn't fully knowledgeable about the history of the war but manages to cover the basics in a couple of hundred pages. Continuing with the history theme, my Mum gifted me a book on World War Two, which I'm really excited to read soon. Girl Online. 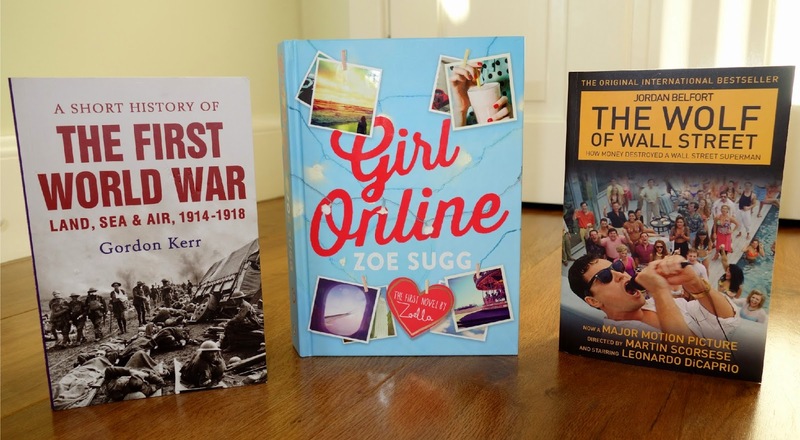 I pre-ordered Zoe's book when it was announced in the Summer and I was incredibly excited to read it when it was delivered in December. I was completely hooked from the very first chapter and managed to finish it in three evenings. It's definitely a typical teen-romance novel, which I loved as it brought back memories of when I borrowed teen-romance novels from the library when I was in high school. I'm a sucker for a romance novel and this book exceeded all my expectations- I loved it! The Wolf of Wall Street. I knew I had to read the book the second I finished watching the film when it was out in cinemas. Books involving corruption, crime and the government really captivate me and I really enjoyed reading the Wolf Of Wall Street. I wish I discovered the book before watching the film, as I think it ruins the book when that happens. Nonetheless, it was a great read. Academic Diary. This has been an essential for me this year. All of my lectures and tutorials at University are in different locations and at different times and I finally realised putting reminders on my phone for classes wasn't the most practical method, so I definitely relied on this planner to organise my week and keep a note of any deadlines. I think I picked this one up for a couple of pounds in Ryman's Stationary. 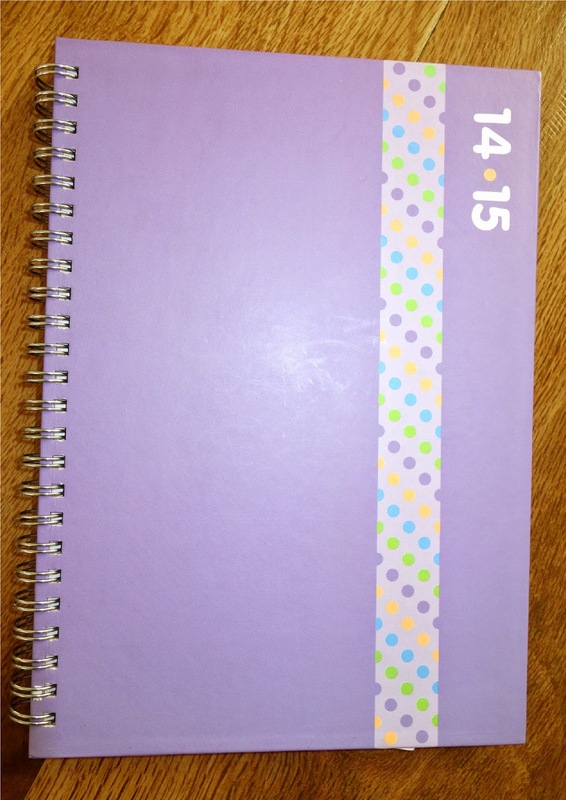 It's not the best looking planner, but it definitely did the job and was compact enough to fit in my bag. Definitely an essential for students! Beyond Two Souls. 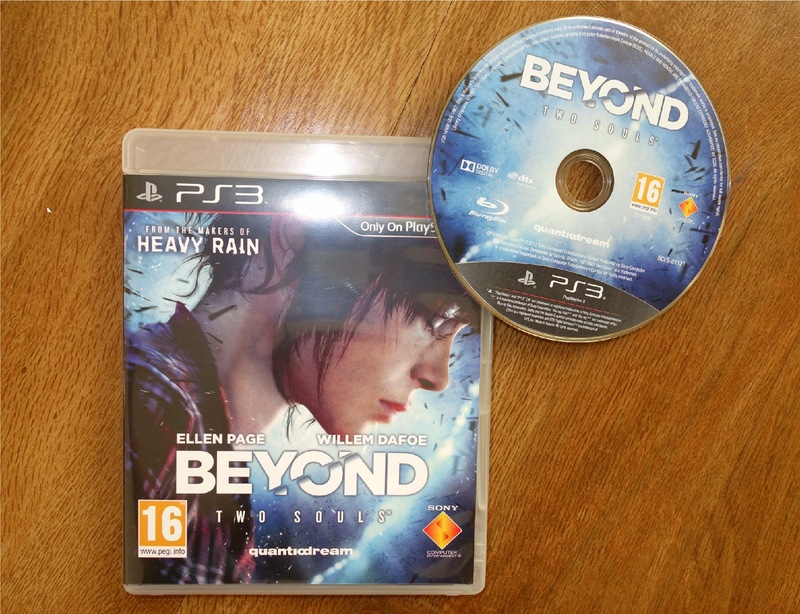 I loved 'Heavy Rain', which is another game made by 'Quantic Dream', so I was desperate to get my hands on Beyond Two Souls. The game play is very similar to Heavy Rain, you control your character's decisions, which means there are different endings to the game. The graphics are amazing - it was like I was controlling Jodie (main character, played by Ellen Page) and her decisions in a movie. I'd say this is the perfect game for people who are maybe new to video games, or prefer simple controls and enjoy the experience of playing a story-mode game as I definitely believe this is my all-time favourite video game. 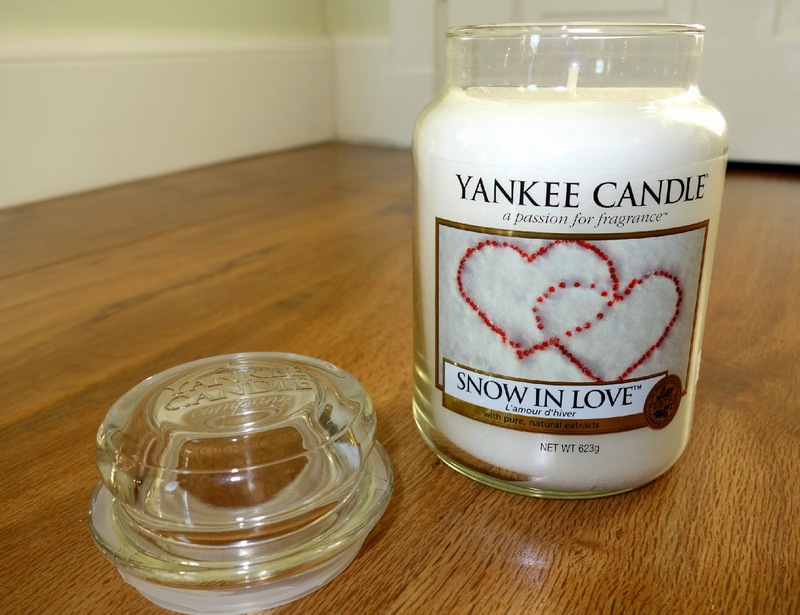 Yankee Candle Snow In Love. This is my favourite candle in the colder months. It smells amazing and pure without smelling too Christmassy. I find a lot of Christmas candles are quite sweet or have a cinnamon scent, which I'm not too keen on. This candle is a fresh scent and I'll be using it again throughout the Winter months of 2015. 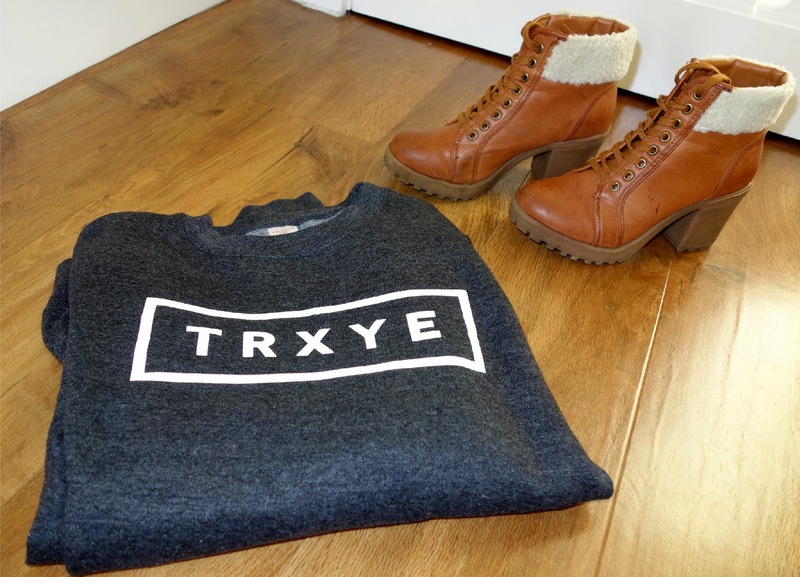 TRXYE sweatshirt. I purchased this in the Summer as a post-exam treat and I'm in love with it. 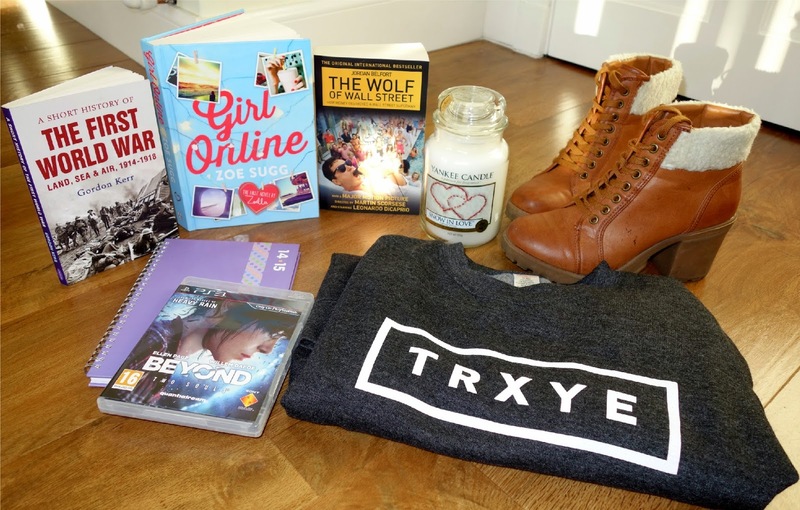 I find most YouTuber/celebrity merchandise isn't wearable as it isn't really my style, but I'm really impressed with the design of Troye's merchandise and the sweatshirt is of great quality. I remember layering this on top of vest tops in the Summer evenings and, more recently, I've been layering it underneath my winter jacket. I think it's a great clothing item all year round and I'll definitely be buying more of Troye's merchandise in the future. New Look Winter Boots. I've alternated between wearing these boots and my black ankle boots this Winter. I love the faux fur detailing around the ankle and they're very comfortable to walk in despite having quite a chunky heel. Urbanears Headphones. 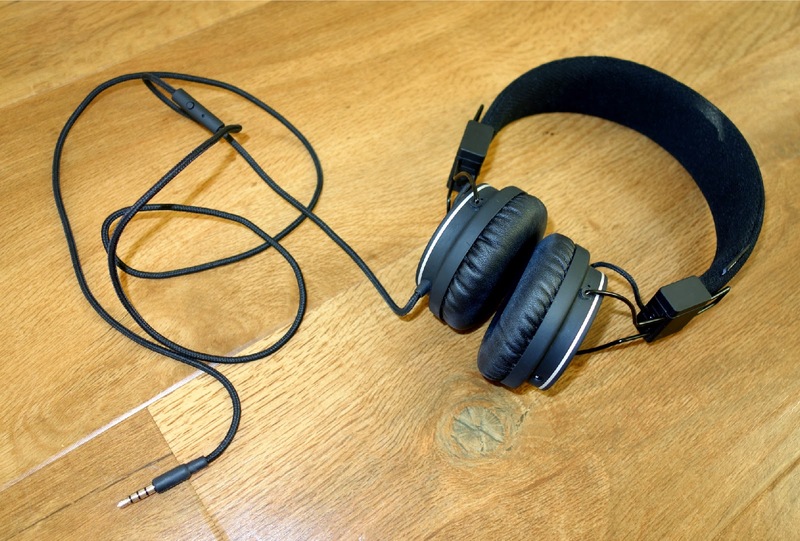 At the start of the year, I was hunting for a pair of headphones to replace my broken Wesc's. I saw Alfie (PointlessBlog) had mentioned buying Urbanears for when he was filming gaming videos, and fortunately HMV had them on offer at the time, so I picked up a set. My old headphones were purple, so I wasn't really keen on wearing them out the house but I've plucked up the courage to wear them outside as my Urbanears are black. I found my Wesc headphones really hurt my ears after I wore them for a while, and thankfully my Urbanears don't hurt much at all. It's only after a couple of hours of constant wear that they'll start to hurt my ears a little bit. Let me know of your random favourites this year in the comments below and I'll see you all next year in another blog post! My 2013 favourites post last year was a very spontaneous blog post. I remember sitting browsing through blogs in the late evening of New Year's Eve when I suddenly had the urge to blog about my own favourite products of the year. This year, however, I feel a lot more organised and I've managed to group together a fair few products that have been my favourites this year. I've managed to collate all my favourite products from various categories including fragrance, body care, skin care, hair care and makeup. John Frieda Full Repair Hydrate+Rescue Shampoo. I'm used to picking up cheap shampoo on offer when passing a Boots/Superdrug store, but this shampoo is definitely a real treat at a very affordable price. The shampoo is quite thick in consistency, but it thoroughly cleanses my hair and makes it feel conditioned without feeling or looking oily. I purchased the huge 500ml salon size bottle in Boots for under £10, and there is still a lot of product left after a month's usage. Aussie Miracle Hairspray Shine + Hold. I've never actually purchased my own hair spray bottle as I didn't find it necessary when I didn't use any heat tools. Since purchasing a curling wand, however, I needed a hairspray that would hold my curls without them feeling crispy. I used Schwarzkopf Got2B Glued Blasting Freeze Spray and, although it smells great, it left my hair feeling dry and in a terrible knotted state which took ages to brush out when it came to washing. This Aussie hairspray doesn't have as strong holding power as the Got2B spray, but it holds my curls for a reasonable amount of time and is easy to brush out, which is my main priority. 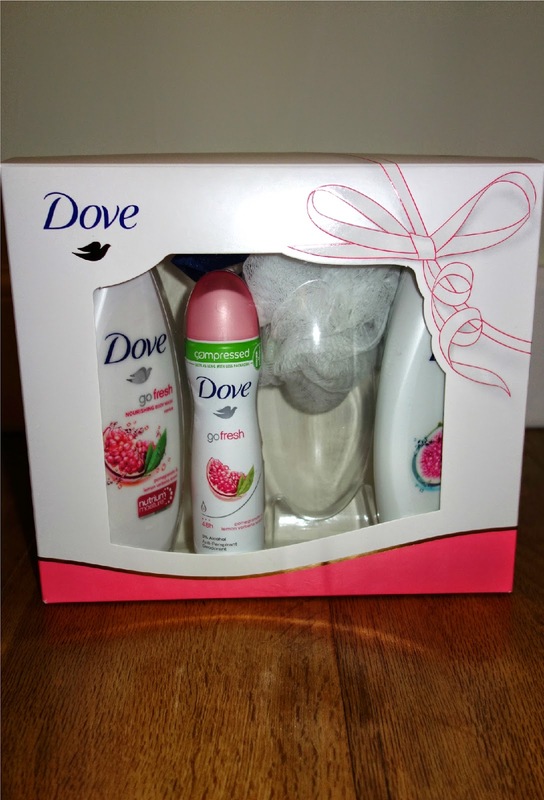 Dove Hair Therapy Refresh+Care Dry Shampoo. I've switched between so many dry shampoos this year and I always end up re-purchasing this one. 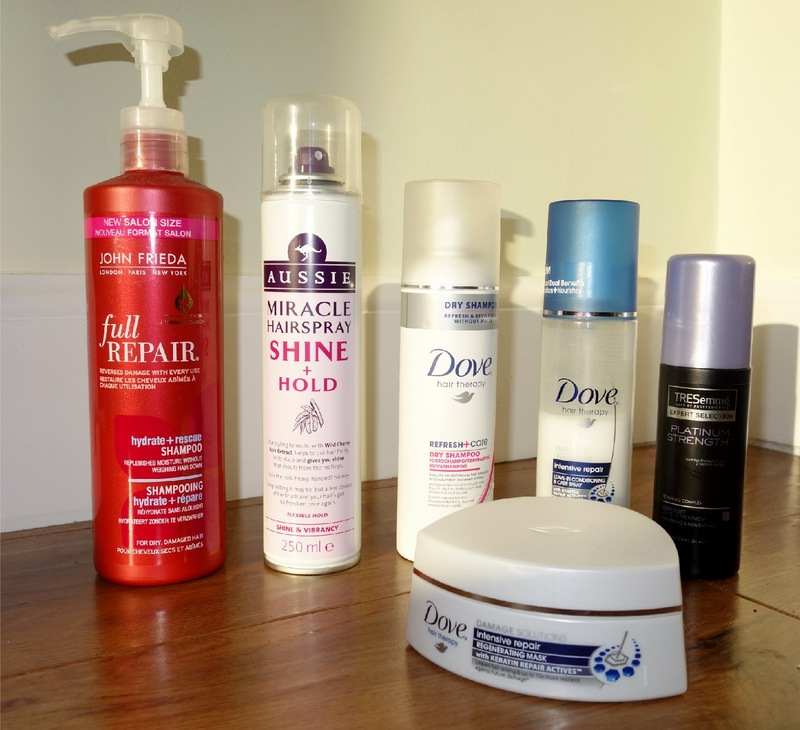 As I've mentioned in previous blog posts, I love Dove hair products and I feel as though they are not hyped about enough. This dry shampoo smells amazing and also leaves my hair feeling clean without any white residue. It also gives my hair extra volume, which is an added bonus! Dove Hair Therapy Intensive Repair Leave-in Conditioning & Care Spray. 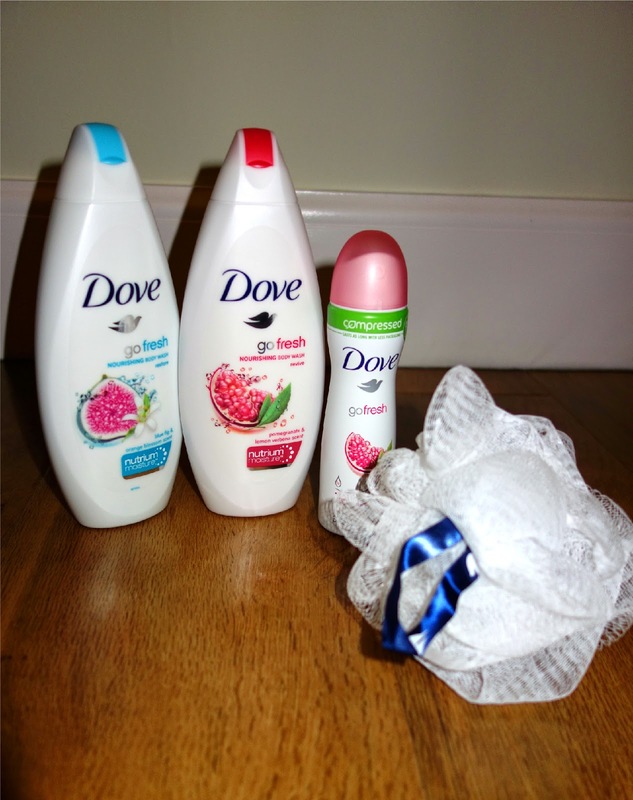 I've used different variations of Dove's leave in sprays and they're all fantastic. I have long hair that can be dry at times and I can be a bit lazy, so this spray is perfect to help condition my hair and only takes a few seconds to spritz after a shower. Dove Hair Therapy Intensive Repair Regenerating Mask. Continuing with the theme of Dove hair products, I love everything about their hair masks. Their pots are very convenient and allow every last trace of product to be used without wastage. The conditioner itself is very creamy and thick, making my hair feeling soft and conditioned after use. As my hair has been terribly dry during the Winter, this product has been my saviour and I've substituted it in place of my usual conditioner. TRESemme Platinum Strength Leave-in Conditioner. When I'm not feeling lazy and I have time to treat my hair, I'll apply a few pumps of this product onto the ends of my hair after washing. The product smells amazing, moisturises and makes the ends of my hair look healthy (concealing those split ends!). Revlon Colorstay ShadowLinks. I've had this little eyeshadow since the Summer and it's still going strong without any signs of hitting pan yet. 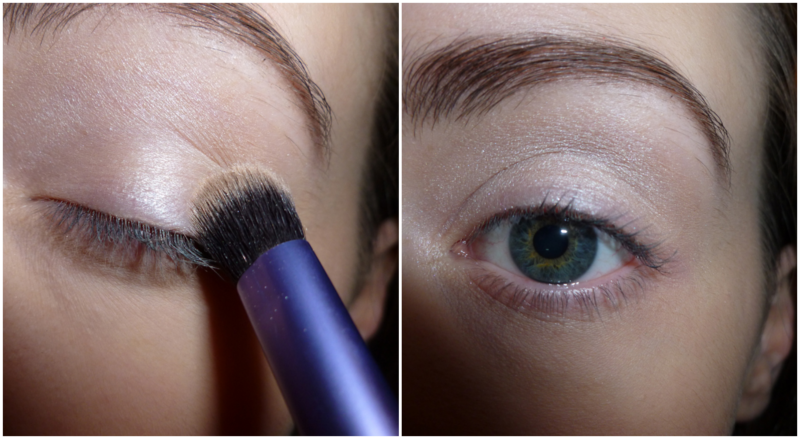 I use it mainly to fill in my eyebrows, which the shade matches my eyebrow colour perfectly. In the future I'll definitely be purchasing more of these and attaching them all together to form my own eyeshadow set. Rimmel London BB Cream (Matte). During the Summer months, I needed a slightly darker BB cream as my skin had tanned from being on holiday. This was on offer at my work and I picked it up after reading it was oil-free, didn't contain salicylic acid and was matte (the three things I look for in a BB cream). The shade is slightly too dark for me now, so I have to make sure I buff it into my skin properly, otherwise it would look quite orange. However, I still love using it as I've found it's the best lightweight BB cream that gives me the best coverage. Max Factor 2000 Calorie Mascara. This is my go-to mascara for everyday use. 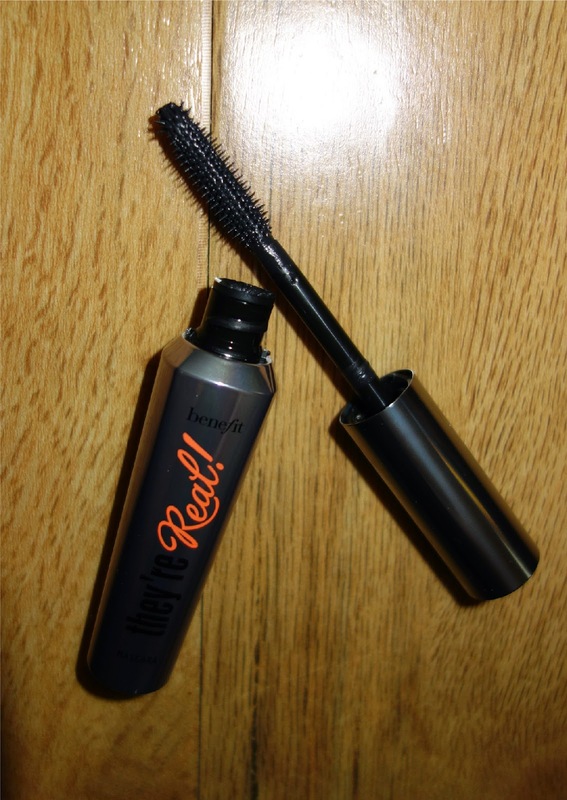 The mascara is a very dark shade of black and manages to volumise my lashes without them being clumpy. I always buy my mascaras in a waterproof formula to help hold my curl after using an eyelash curler, I find this mascara does that perfectly and is still fairly easy to take off compared to other waterproof mascaras I've tried in the past. Maybelline Brow Drama Sculpting Brow Mascara (Dark Brown). I started filling in my eyebrows this year and this is my favourite product to set them into place. 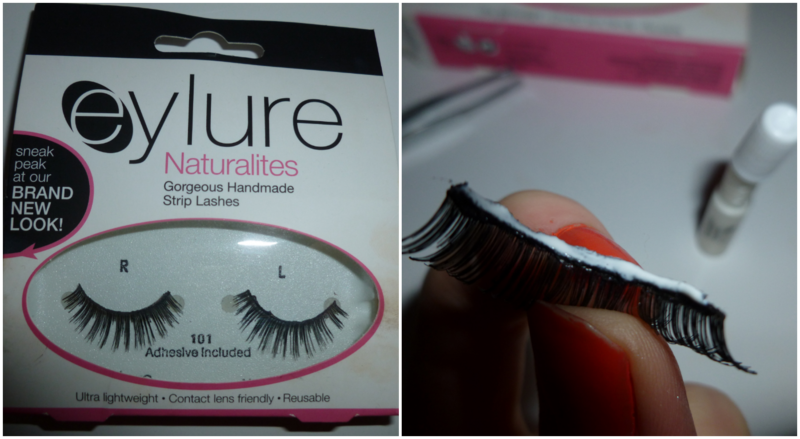 On days where I'm feeling lazy, or rushing out the door, I'll use this product to comb through my eyelashes and to make them appear bolder. Rimmel London Kate Moss Lipstick (Matte). I'm obsessed with these lipsticks. They last all day without the need to re-apply. I love the shade 107, which is the perfect berry-toned red shade. 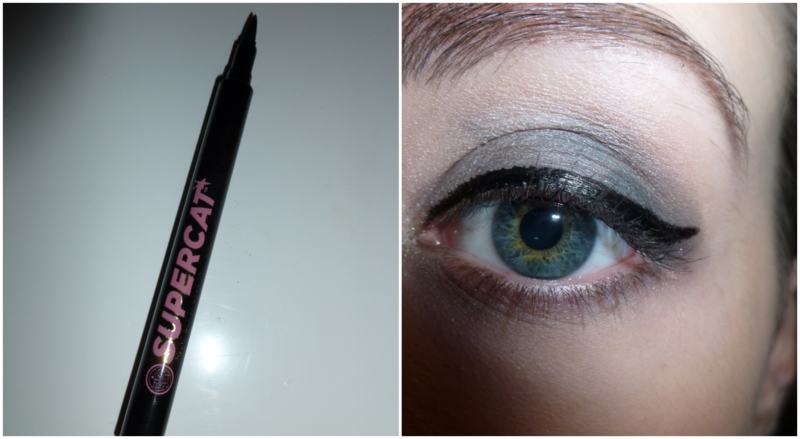 Soap & Glory Supercat Liquid Liner Pen. 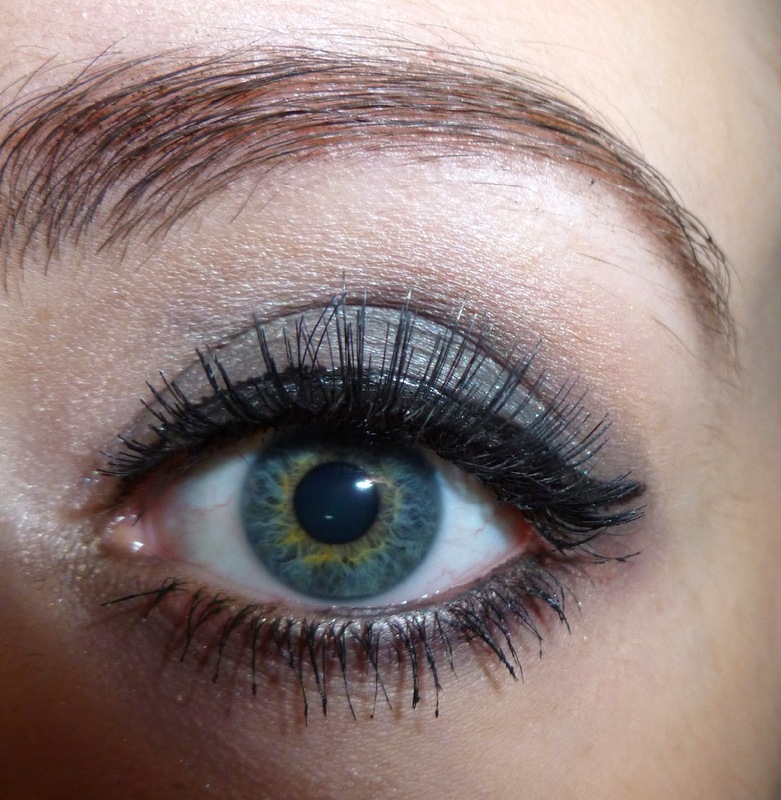 I've worn a cat eye almost every day of 2014 and this product makes it super simple to do. The pen is very black, doesn't smudge and is very easy to remove at the end of the day. Recently, I've been wearing brown eyeliner to change up my eye makeup look, so I'm hoping Soap & Glory release the liner in a brown shade too. Aveeno Cream. My skin tends to get really dry during the Winter and I've found this product is great at moisturising my skin without it breaking out. I always purchase the 300ml bottles as I find they last a good couple of months and the product can be used fully, by taking off the pump, to prevent wastage. Nivea Powerful Delight Shower Gel. My Mum tends to pick up new shower gels when she does the weekly shop and I discovered that I really love this one by Nivea. It has a fruity scent and only a small amount is required for it to lather, enough to wash my whole body. 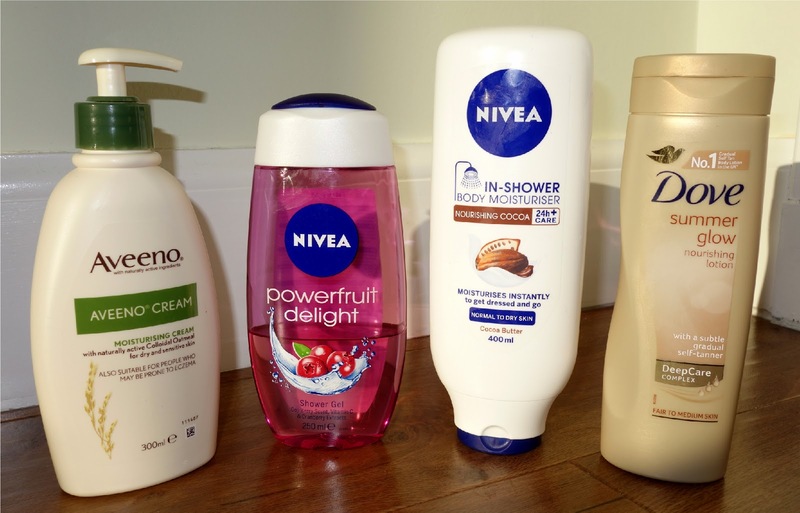 Nivea In-Shower Body Moisturiser. I love applying this to my legs in the shower after I've shaved. It makes them feel super smooth afterwards, without them feeling greasy. I don't like applying body lotions after I shower as I find they usually take ages to dry and I'd rather something I could apply, then immediately jump straight into my clothes/pyjamas. I love this product as I can apply it in the shower, my skin is automatically moisturised then I'm ready to go! Dove Summer Glow Nourishing Lotion (Fair to medium skin). I used this product religiously during the Summer as it gives my skin a nice sun-kissed look without being too orange and streaky. I also purchased the shade for medium to dark skin, which I will use if I'm going on a night out. I find the darker one works on my skin more quickly and gives me the perfect tan only by using a little amount of the product. 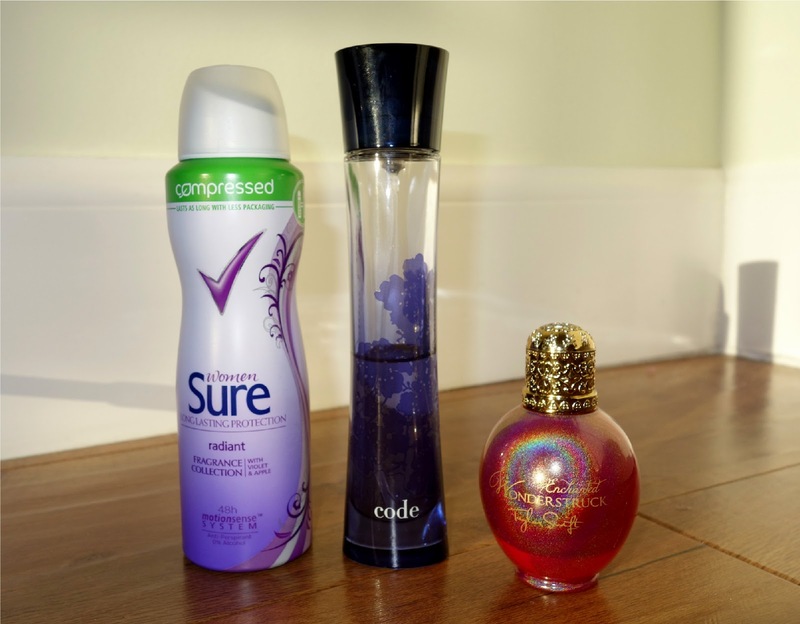 Sure Women Deodorant (Violet & Apple). I've been on the hunt for a new deodorant since discovering my favourite, Mitchum Deodorant in Waterlily, had been discontinued. I think this violet & apple deodorant is a great alternative and I'm really pleased I've found a replacement for my old-favourite Mitchum product. I love the scent and the can lasts for a good month or two. Giorgio Armani Code Perfume. This is my all-time favourite perfume. I've been using it for years and I'm sure this is just my second bottle as I like to limit the usage of it because it's so expensive. I use it for only special occasions, and because I only use it rarely, I love being reminded of how great it smells. I find this perfume also lingers for the whole day, unlike other perfumes which you can't smell after only a couple of hours! 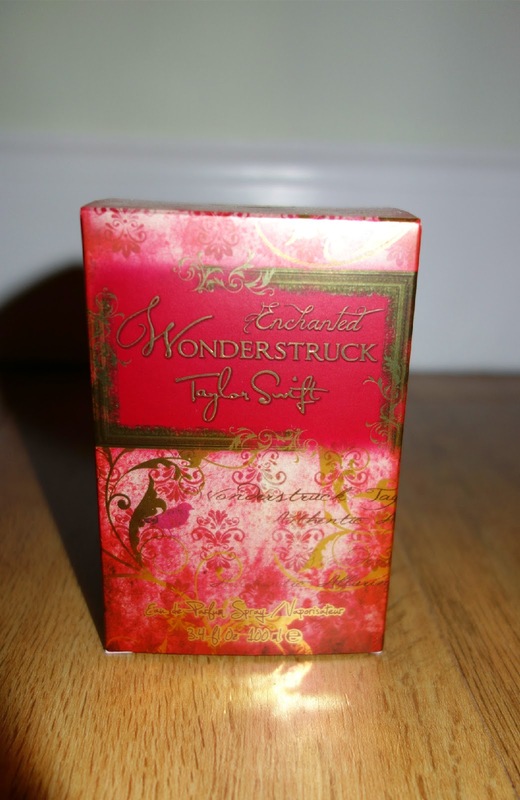 Taylor Swift Enchanted Wonderstruck Perfume. As I like to use my Armani code perfume for special occasions, I was on the hunt for a cheaper perfume for every day use. I received this bottle as a gift from my friend and I've been loving it ever since. It's a great, affordable every day perfume without the scent being too overpowering. What have been your favourite beauty products this year? Do you like to try out new products, or stick to holy-grail products? As I was scrolling through my BlogLovin feed this morning, I noticed Lily Pebbles created a '2013 Favourites Revisited' post where she discussed her favourite products last year and if they continued to be her favourites for the year of 2014. I thought her blog post was fantastic and I've decided to write a similar kind of post. 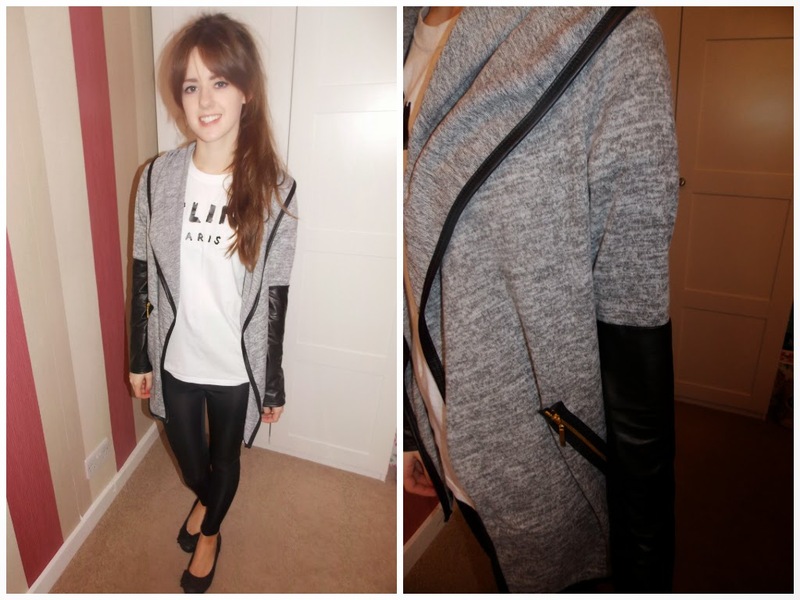 You can view my 'Favourite products of 2013' blog post HERE. L'oreal EverStrong hair care range. I haven't actually picked up this product again this year. As new hair care products are always being released, I like to switch up the products I use on my hair to stop it becoming too used to one product. I find shampoos don't have the same effect when I use them constantly for a couple of months and I love to try out new products regardless. Tangle Teezer. After a whole year, I still swear by this brush. It's not until I borrow someone else's supermarket hair brush that I realise how great the tangle teezer's are. The brush doesn't hurt when I'm untangling knots and I feel as though my hair isn't going to snap or break when I'm brushing it when it's wet and at it's most vulnerable. Real Techniques Makeup Brushes. I've continued to use my real techniques brushes every day this year. I find them to be great all-rounded products and I haven't noticed a single hair fallout from the brush since I purchased them in the Summer of 2013. 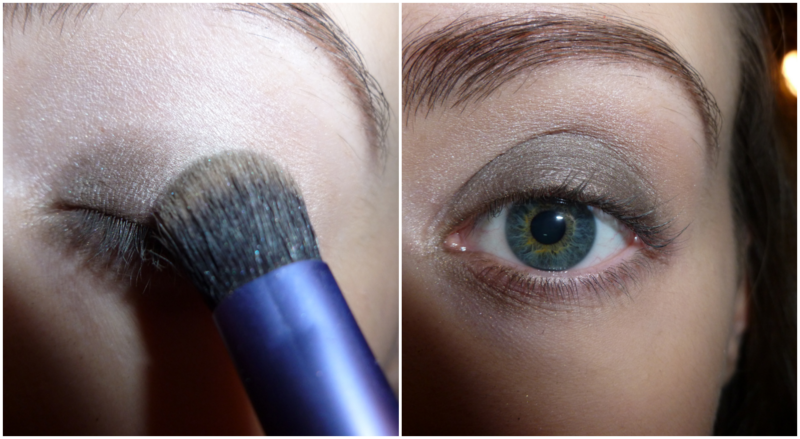 I use the large face brush every day to apply powder and the eyeshadow brush whenever I apply eyeshadow. I haven't used the foundation brush much this year, as I prefer to use my fingers instead. Maybelline Mascaras. 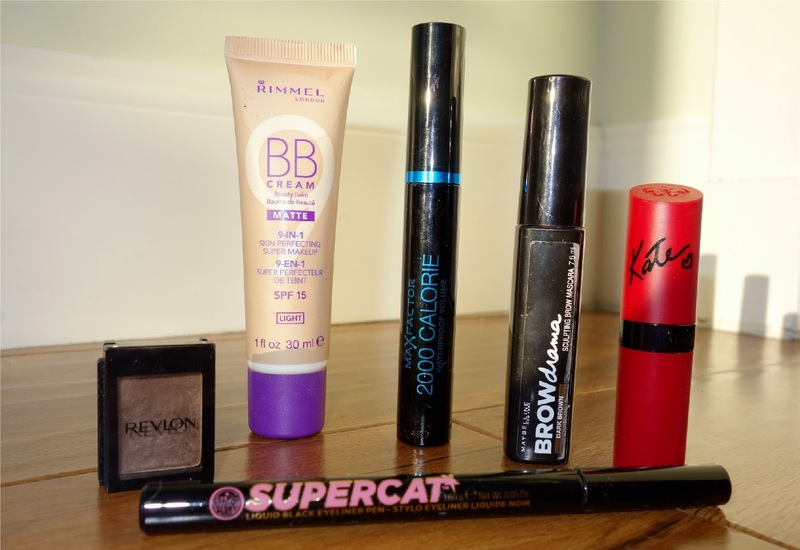 2013 was definitely the year for Maybelline mascaras. I was completely hooked on the Falsies and the Rocket mascara when they were released and I still agree today that they are great mascaras. However, I've become a great fan of Max Factor mascaras, which I've been using throughout the year. I find straight and thin mascara brushes easier to work with than the spoon/chunkier brushes on the Maybelline mascara wands. Carmex Lip Balm. I had my Roaccutane treatment in 2013 and this product was my saviour then. I barely use lip balms nowadays as my skin is nowhere near as dry as it was on the medication. If my lips are dry, however, this is the first product I reach for. 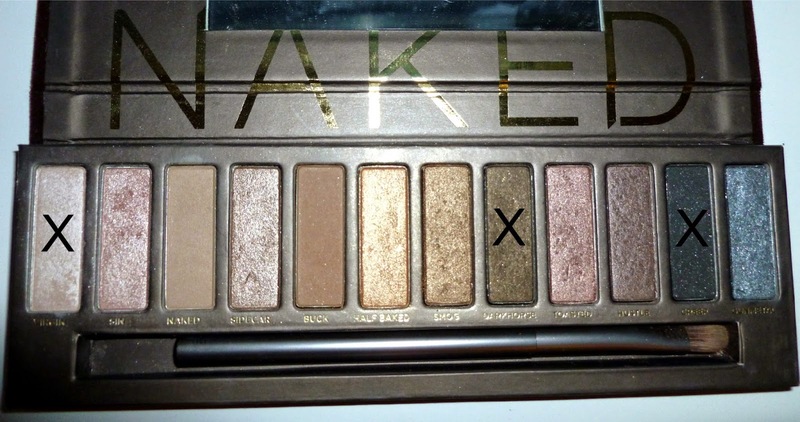 Urban Decay Naked 1 Palette. This is still my favourite eyeshadow palette. I haven't worn as much eyeshadow on a daily basis this year, but it is definitely my go-to palette when I decide on a smokey eye or for heavier eye makeup looks. Max Factor CC Cream. I find this product is very pale, which is perfect for my skin tone in the Winter months, but not so much in the Summer. Over the last couple of months, I've re-discovered this product as it suits my skin tone perfectly during this time of year. 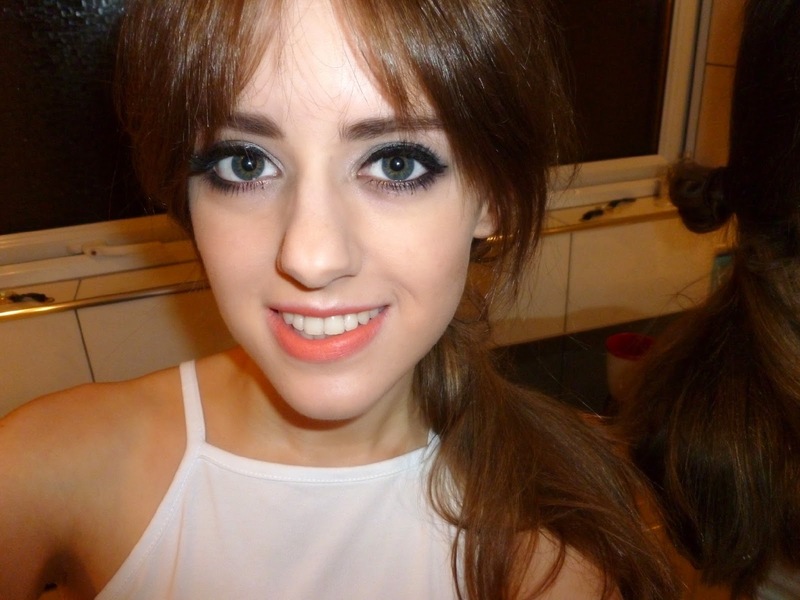 In the Summer, I used my Rimmel London BB Cream religiously. Roaccutane. I haven't been back on the drug since I finished my course in November of 2013 and, fingers crossed, I won't need to take it again. The drug changed my life and I'm really pleased with the results and my skin continues to improve every day. I've booked a couple of microdermabrasion appointments in 2015, so I'm excited to see how it helps reduce the appearance of my acne scars left over from acne breakouts. I'll be sure to blog about my results next year! As I said before, brands are constantly releasing new products so I'm not really surprised most of my favourites from last year won't be included in my 2014 favourites. However, there have been a few products I've discovered - such as Carmex lip balms and the Naked Palette - which I can't see budging from my favourites any time soon. My 2014 favourites posts will be released tomorrow and on the 31st! Have your 2013 favourites changed this year? Or are there still products you swear by from last year? I hope you all had a great Christmas, or a great day on the 25th if you don't celebrate Christmas. My Christmas was nice and relaxing which involved lots of Christmas movie watching and stuffing my face with fantastic festive treats. I wasn't planning on doing a 'What I got for Christmas' blog post, but I thought I would show you a few beauty pieces I received in case you were interested, as most of the items can be found at reduced prices in the post-Christmas sales now! Some products have been gifted to me as re-purchases since I was running out. I haven't tried all of the completely new products, so if you've tried any let me know of your thoughts! I've always wanted a makeup organiser to display on my desk, so I was really pleased when I received one for Christmas. 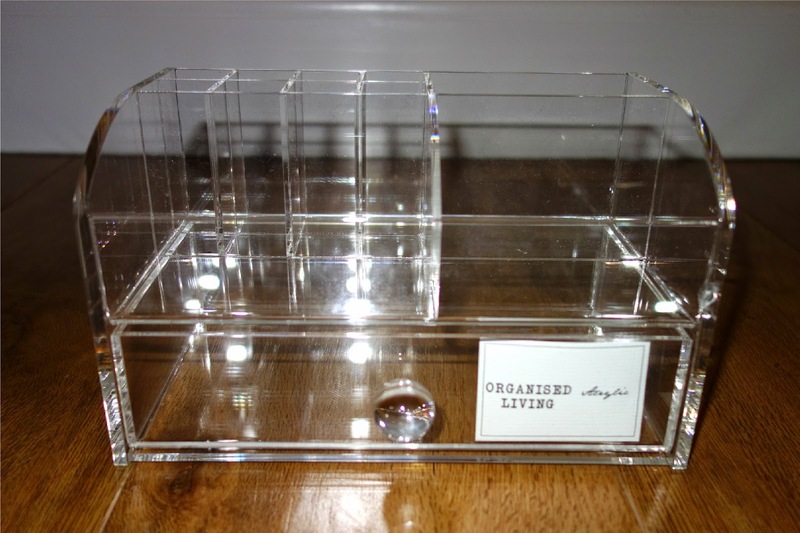 It's actually labelled as a jewellery organiser from BHS, but I'll be using it to store my everyday makeup items. My plan is to store a few makeup brushes in the small compartments, foundation/powder in the bigger compartments then mascaras and any other eye products in the drawer. I don't use too many makeup products on a daily basis, so the organiser is a perfect compact size to store all of my essentials in. I had been searching for a larger makeup bag to transport all my makeup products in, so I was really pleased to see Zoella had released makeup bags/pencil cases of a large size. 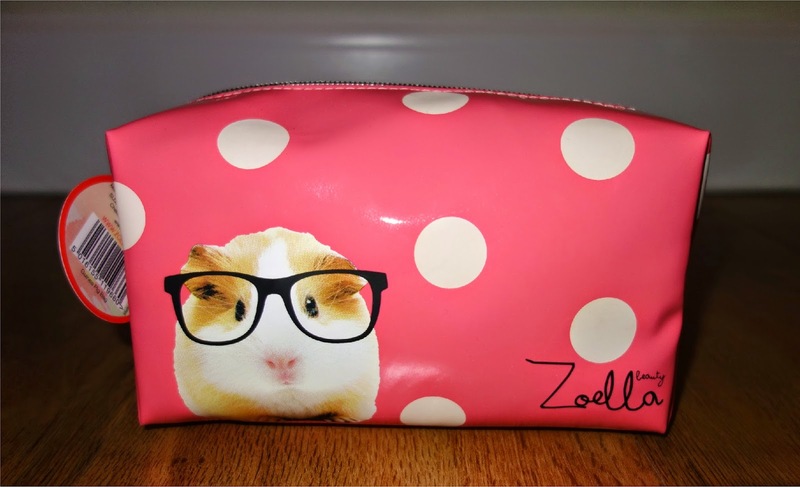 I'm a huge fan of Zoe's and the design of her makeup bags are incredibly cute and appear well made and sturdy. I received a 50ml bottle of Taylor Swift's Wonderstruck perfume for my 18th birthday last year and I ended up using it every day for a whole year I loved it so much. My favourite perfume is Giorgio Armani Code, but I restrict myself to only using it for special occasions as it is very expensive. 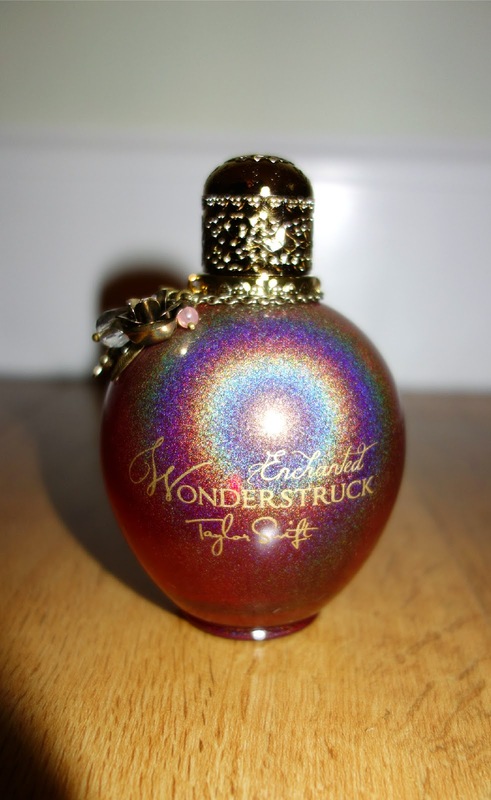 'Wonderstruck' is a fantastic perfume for every day use without breaking the bank! I'm a huge fan of Dove products. I received a gift set of two 'go fresh' body washes, a deodorant and a loufa. I'm excited to use these as I regard Dove as a great all-rounded brand. I've only ever been familiar with their bath products but, more recently, I've discovered their hair products are fantastic too. I also received Lynx Attract products - a body wash, deodorant and loufa. Lots of my friends use this deodorant and their products for men smell amazing, so I'm really excited to start using these products. I'm obsessed with some makeup products in the Soap & Glory range and I've been desperate to try their skincare products ever since. I'm used to using Simple face wash which costs only a couple of pounds, so it's a great treat to incorporate high quality skincare products into my regime. 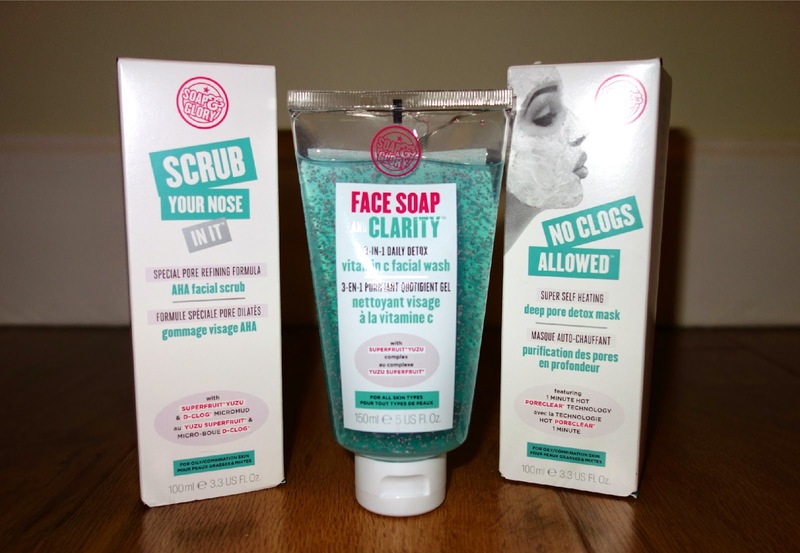 I've used the face wash and 'Scrub your nose in it' facial scrub so far and I love them both. They both make my skin feel really refreshed and fully cleansed without my skin feeling stripped of its natural oils. I'm yet to try the 'No Clogs Allowed' self-heating detox mask. 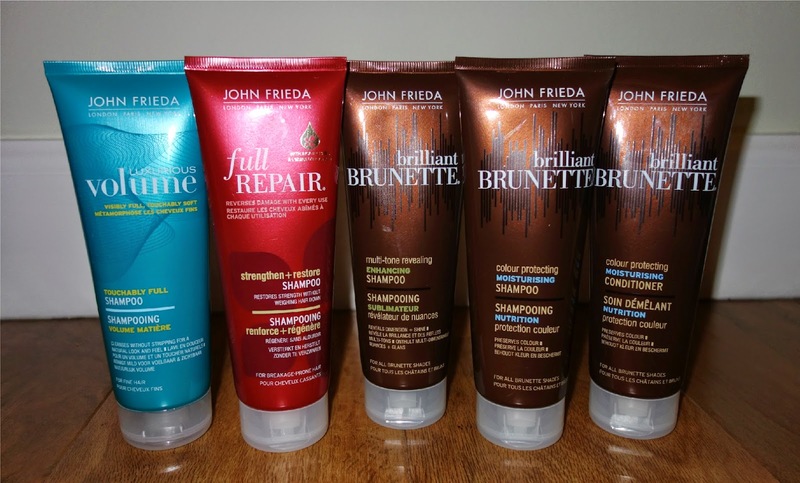 I purchased a large John Frieda 'Full Repair' salon bottle a couple of months ago and I loved it, so Mum treated me to more of his products in different varieties. 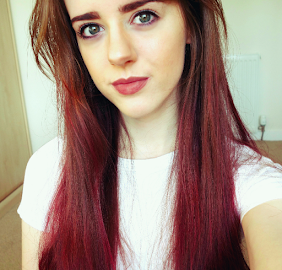 I received products from the 'Luxurious Volume', 'Full Repair' and 'Brilliant Brunette' range. I've only tried the 'Full Repair' product and I've been using it for months, so I'm looking forward to trying the other products. 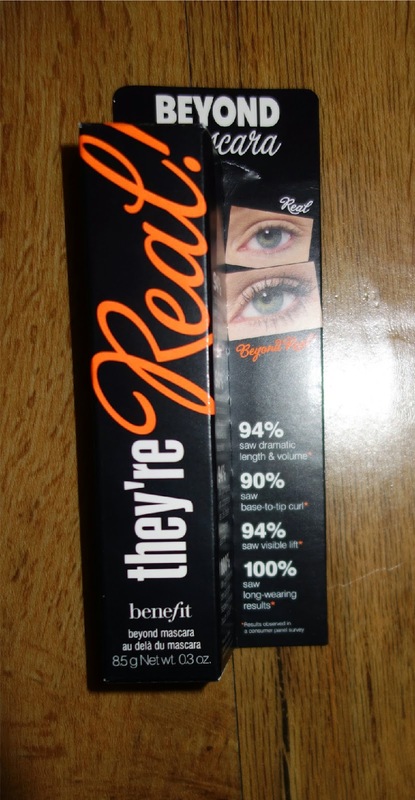 Last, but not least, I received Benefit's 'They're Real' mascara. I've been wishing for this product for so long now as I've heard amazing reviews about it from other bloggers and YouTubers, but I couldn't ever bear to spend almost £20 on a mascara. It's an understatement to say I'm excited to try this. After curling my eyelashes, I'm used to applying waterproof mascara to stop my curl from dropping. This product isn't waterproof, but I've read in reviews that it's quite hard to remove so I'm hoping it acts like a waterproof mascara and holds my curl too. I hope you enjoyed this blog post. I'd love to hear of any new beauty products you received for Christmas, or of any products that are on your wish list. As Christmas is just a couple of days away, I thought I'd answer some Christmas themed questions in a blog post. I've seen loads of other bloggers do the Christmas tag with different questions, so I've combined a few and created new questions to answer. Feel free to use my questions if you decide to do the Christmas tag! 1. What makes the holidays special for you? I love everything in the run up to Christmas. Preparing for Christmas music concerts, catching up with family and friends as well as watching YouTuber's Vlogmas videos really get me in the Christmas spirit. I love switching off over the Christmas/New Year period. Although the nights are darker, it's the perfect excuse to have a Christmas movie night in with lots of snacks! 2. Do you have a favourite Christmas memory? When I was younger, my sister and I used to get really excited waiting for 'Santa' to arrive to deliver more presents on the afternoon of Christmas Day. I remember being really confused as to who was dressed in the suit as my Dad was always in 'the shower' when it happened. Other Christmas memories include going on holiday to Lapland at the start of December to meet the *real* Santa. The whole holiday was spectacular and I really want to go again, but I realise now it is very very expensive! 3. Do you open your presents on Christmas Eve or Christmas morning? I open all my presents on Christmas Day. When I was younger, my sister and I were allowed to open one present on Christmas Eve. Now we're older, we just leave it all until Christmas morning. 4. Do you have any Christmas Eve traditions? 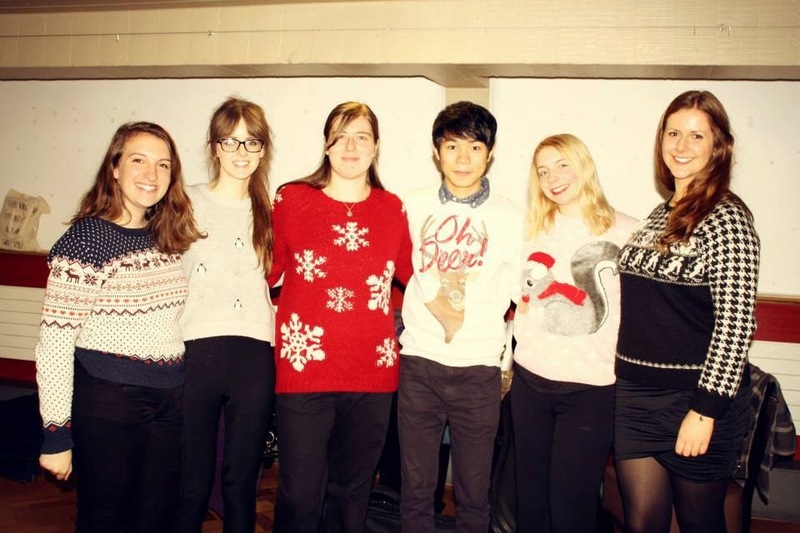 My family and I go to church on Christmas Eve for their carol-singing service to get us into the Christmas spirit. I always love to watch the Snowman later on in the evening. I'm still quite childish as, on Christmas Eve, I hate to sleep late in case I catch my Mum putting our presents downstairs. Nineteen years later and I've still never woken up to catch either of my parents doing so! 5. What made you realise the truth about Santa? I had to ask my Mum about this one- she said she never told me. I think I eventually found out sometime in primary school when all the other children found out he didn't exist. I love Elf and Home Alone. 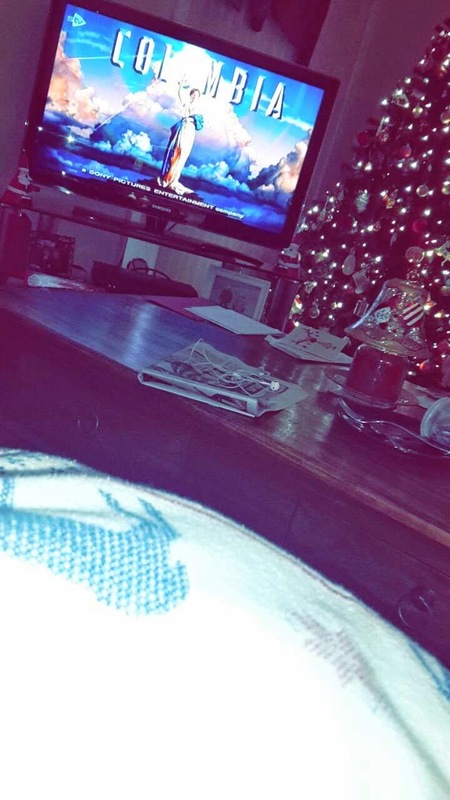 I also love watching the Snowman on Christmas Eve. 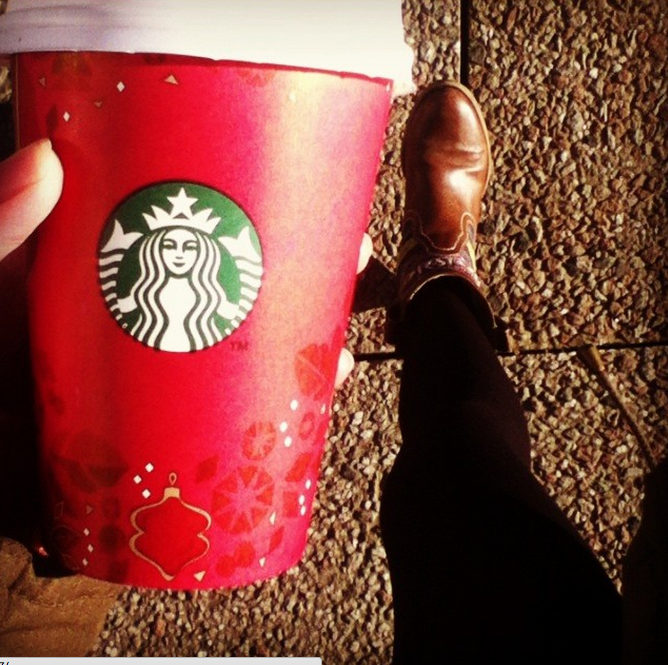 You know it's Christmas soon when Starbucks and Costa release their Christmas take-away cups, I love hot chocolates during the Christmas holidays. I also love everything about a Christmas dinner - pigs in blankets, turkey, stuffing - the lot! I can't say I'm a fan of mince pies though. 8. Favourite gift you've received for Christmas? I can't think of one gift in particular, but I've loved every present I've received from my parents for Christmas. My favourite gift would probably be larger presents like a games console, a mobile phone or polly pockets when I was younger! I've fallen in love with the Yankee candle 'Snow in Love' this year. I like 'Merry Christmas Everyone' by Shakin' Stevens. I'm also obsessed with Pentatonix's Christmas album - especially their mix of 'Winter Wonderland' and 'Don't Worry Be Happy'. 11. 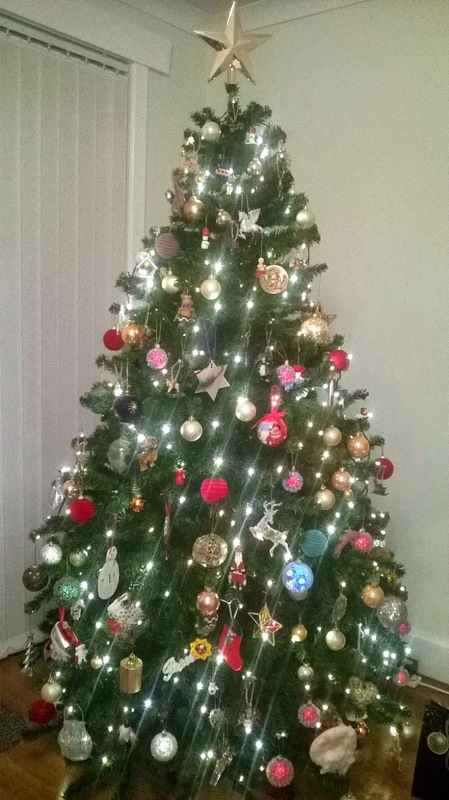 Have your Christmas traditions changed from when you were younger to now? Yes! When I was younger and my parents were together, my sister and I would open our presents on Christmas morning, have dinner, then be delivered more presents in the afternoon. We mostly stayed at home in our pyjamas then. But now, since my parents divorced, I see my Dad on Christmas Eve and spend Christmas Day with my Mum. We open our presents in the morning and then head off to our Auntie's house for Christmas dinner and to watch movies. Most of the family on my Mum's side gather there, including my little cousin who is 7, so it's always nice to watch him open his presents and for him to show me what he received. 12. Can you name all of Santa's reindeer? Rudolph, Prancer, Dixon, Blitzen, Donner, Cupid.... I can't remember the other two! 13. What are you having for Christmas dinner this year? 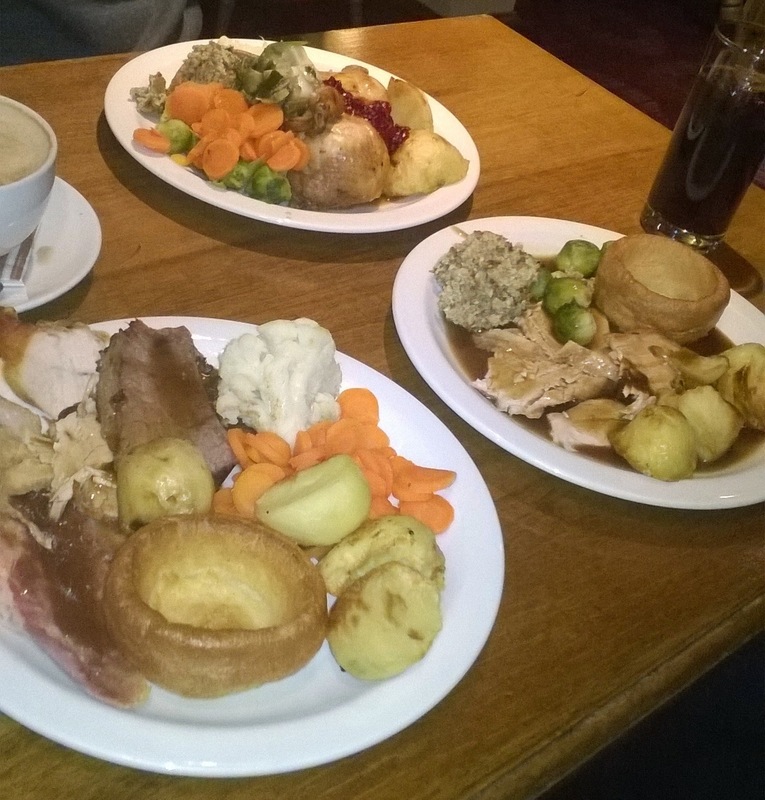 We're planning on having turkey, pigs in blankets, roast potatoes, stuffing and vegetables for our main course. Then, we have a selection of desserts - jelly, ice cream, cheesecake and chocolate gateau. 14. Have you ever had a white Christmas? I remember having one about 4/5 years ago. It's only snowed, where I live, at the start of this month and only lasted a couple of days. We never seem to get a lot of snow around Christmas time nowadays. 15. Do you prefer receiving or giving presents? Both! I love receiving presents, but at the same time, I love wrapping Christmas presents I've bought for other people and thinking about how much I hope they'll love what I'm giving them. 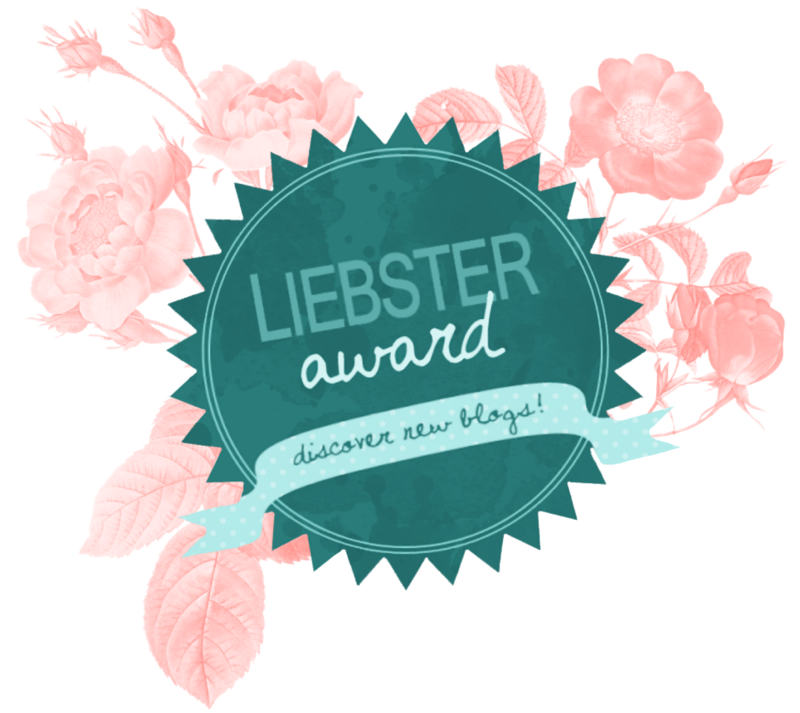 I was nominated for the Liebster Award by two lovely girls, Valerie and Saule (thank you!). 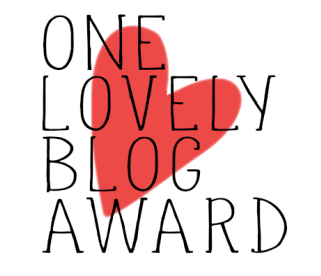 The purpose of the award is to raise awareness of smaller bloggers with less than 200 followers and offers a chance to get to know any new bloggers. As both girls have nominated me, I thought I would combine both of their questions together into one post. 1. What is your favourite quote of all time? "Treat others how you would like to be treated". There have been so many occasions where I think of how I would feel if I was in the other person's shoes before I take action. It definitely avoids a lot of sticky situations. 2. Which song could you listen to over and over again? At the moment, it's between 'Get over it' by McBusted or 'All about that bass' by Megan Trainor. Both are really catchy, feel good songs. I tend to replay a song I like over and over again until I get completely sick of it, then I never listen to it ever again! 3. What is your bad habit? I bite the skin around my fingernails. Totally gross, but it's a nervous habit I've had for years! 4. If you could meet someone, dead or alive, who would it be and why? I would really love to meet Tom Fletcher. I've been a fan of McFly since I was 8 years old and have grown up with their music, so it would be great to meet him. 5. Why did you start your own blog? I was a regular reader of Zoella's blog and thought it was something I'd really enjoy to do too. I was struggling with acne at the time, so I also thought it would be good to document my progress through treatment. 6. What do most people don't know about you? I've played viola for 10 years! 7. Who inspires you and why? My Mum. I always go to her first for advice and somehow, she's always right! 8. What is one of your best memories from the past year? Touring Belgium with my old high school's music department in the summer. I met great friends on the trip and came home completely inspired by all of the World War 1 memorials in the beautiful country. 9. If you had one superpower, what would it be? Time travel. I love history and would love to see what it was like living in the past. I wouldn't ever want to change anything I did in the past, or see my future, though! 10. What is one skill you don't have but you wish you did? Confidence. I feel like I am confident with people I'm completely comfortable with, but I can be quite shy in front of new people. 11. What is your favourite blog at the moment? I love reading Faye's Fix. She has a youtube channel too, which I'm completely obsessed with. I was born in Edinburgh, Scotland. Spending hours and hours watching YouTube videos whilst drinking lots of tea and eating chocolate bars. 4. What quality do you appreciate most in others? Positivity. I feel more comfortable being with people who see the positive side of things rather than focussing on the negatives all the time. 5. 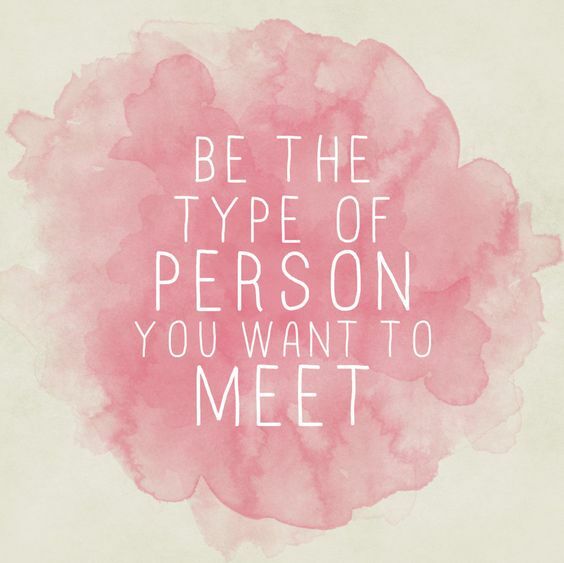 What do you hope to accomplish some day? Raising a healthy and happy family. 6. Three things you cannot live without? Family, friends and the internet. 9. If you could live anywhere on Earth, where would it be? I don't actually have a specific place where I would love to live as I love where I live just now. In the future, I think Malta would be a perfect place to live when I'm old and retired. 10. What would be the first thing you would do if you won the lottery? Tell my family and find us all a new house to live in! I wanted to be a TV news presenter, which is quite strange because my degree (law) relates to the news hugely. I also went through a phase of wanting to be a dentist's assistant and a psychologist. 1. What is your star sign and do you believe in your horoscope? 2. If you had the opportunity to change your name, what would you change it to? 3. If you could only have one meal for the rest of your life, what would it be? 4. What was your favourite subject at school? 5. Which of your five senses would you keep, if you could only keep one? 6. Describe your idea of a perfect first date. 7. What would you like to invent? 8. Why did you start a blog? 9. Who are your favourite bloggers? 10. What is one thing most people don't know about you? 11. Describe your year (2014) in three words. Enjoy. Remember to link me your blog post once it has been posted, I'd love to read your answers! It's been a while! Well, technically not, since I scheduled blog posts during my blogging break - but I feel like I haven't sat down and typed out a blog post for about a month! I miss having my own little space to write about absolutely anything and everything to people who have the same interests and things in common as I do. So if you read my blog, thank you, it really does keep me going! After dozens of mental breakdowns and on average six cups of tea a day for the part month, I've finally completed my end of semester exams. Thankfully they weren't all worth 100% of my final grade, but four law exams in the space of a week and a half really took it's toll and I feel so drained from all the stress, but I'm definitely ready for a well deserved Christmas break. I thought I'd take some time to update you all and just write for a while. I've already been out celebrating Christmas with my friends. 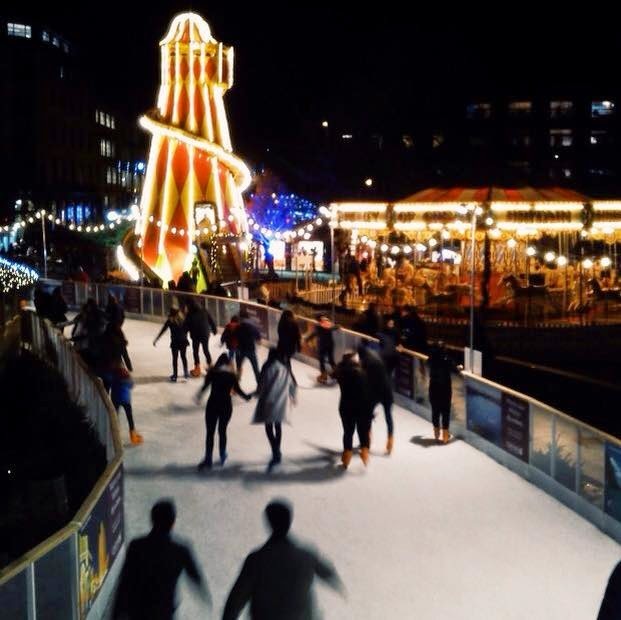 On Thursday night after our last exam, all of my law friends got together to enjoy mulled cider and nachos in the student union followed by hot chocolates, ice skating and a wander around the Christmas market. 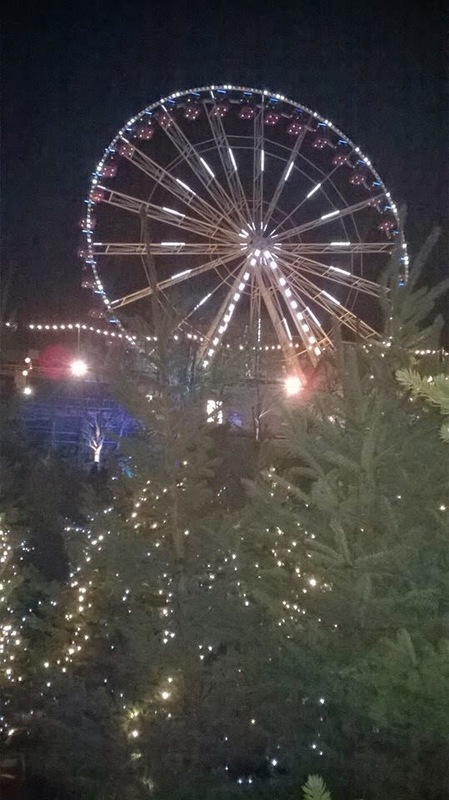 Friday night's plans were of a similar nature; I met up with friends from my old-high school music tour for a look around the Christmas market and a run around the Christmas tree maze (which was pretty epic). I think the rest of my plans for Christmas involve more Christmas market-ing, which I will never get sick of no matter how many times I go, as well as catching up with family and friends. Oh, and Christmas shopping. Thankfully I managed to order most of what I wanted to get others online at the start of the month, but I desperately need to buy more presents this weekend. 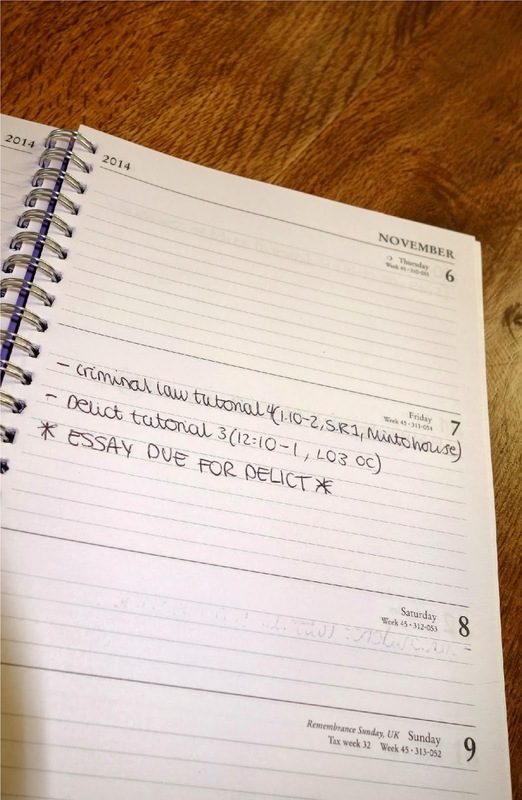 I really hate being disorganised, but this time of year is always super busy with exams, that I always leave my shopping until the very last minute! Does anyone else do this? What are your plans for new year? I'm quite stuck on what to do. My friends at home are either working, have events planned with their families, or have moved away to celebrate in different parts of the country. I don't think my family are terribly crazy about going out to celebrate- last year we had a movie marathon and watched the bells come in together on the TV. Our evening will probably follow along the same lines this year, or we will be asked to an event very last minute (it happens every year!). I'm quite excited for 2015. I have a busy January planned. Apart from two exams at the start of the month, I'm going down to Essex to visit family on my Dad's side for the weekend, which I'm super excited about. Plus, the weekend after that, I'm off to the Lake District for a couple of days with an orchestra society at University to play a few gigs. I'm uncertain about what the rest of the year will hold. I've applied to study abroad for my third year of University, but the fate of my application depends on whether I pass my December and May exams. Hopefully, I will be blogging next Summer from another European country, but we'll have to wait and see! 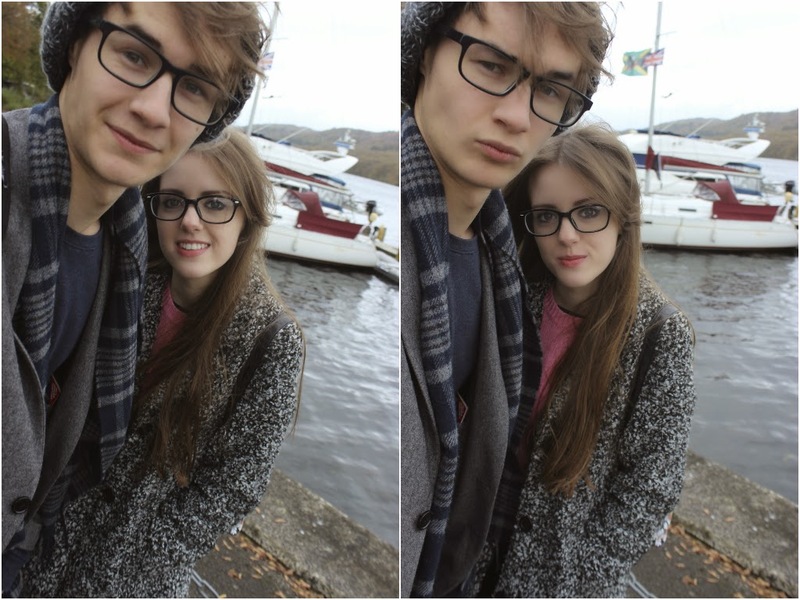 Recently, I've realised blogging is something I really love to do. Alongside meeting incredible people through the internet and writing about beauty and makeup (which I love to write about), I've found writing is actually really self-rewarding. I had a really lovely message from a young man last week wanting to thank me for my Roaccutane posts and how they have helped him have hope whilst going through treatment. In addition, every single one of the comments I receive are lovely and reading them all really do make my day, so thank you very much. You don't have to leave a comment, but even adding a single digit to my page views when you visit or following my blog really do mean a lot to me and it keeps me going. I think blogging has helped improve my writing skills too - I find it easier to write emails and even essay writing is a lot more stress-free because I practise writing regularly. It's also made me re-consider my career choice after University. I've never really been adamant on becoming a lawyer, so I've thought about possibly doing a course in journalism after my degree. I'm certainly not the best writer and I know journalism is a very competitive field to try and get into, but I hope sometime in the future I could have the opportunity to write a few legal articles. Ask me this time next year and the plans could totally change and I might even go on to do the Diploma to become a laywer- who knows. 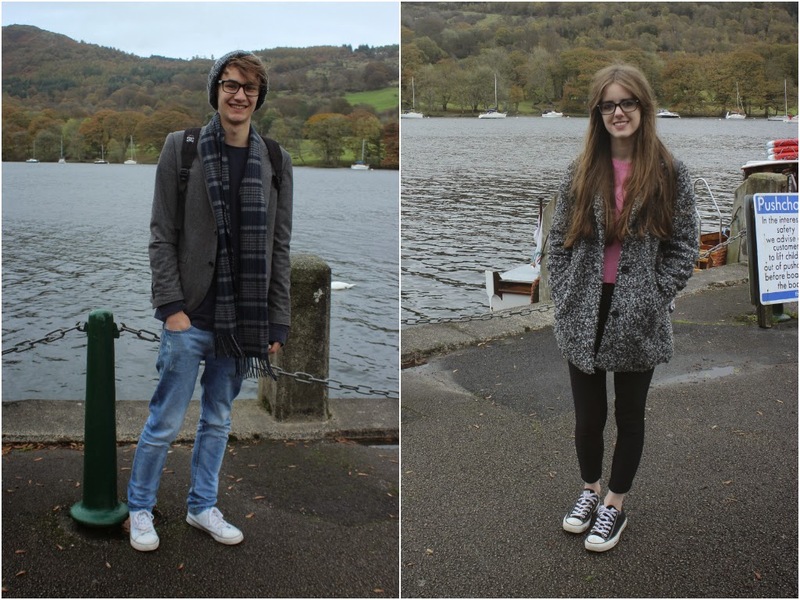 I'm sorry for rambling, but I've missed blogging. I'm getting a new camera for Christmas, so the photos in my posts next year will hopefully be of far better quality, which I'm really excited for! I hope you are all well and let me know of any updates in your life and your Christmas plans this year- I'd love to hear them. 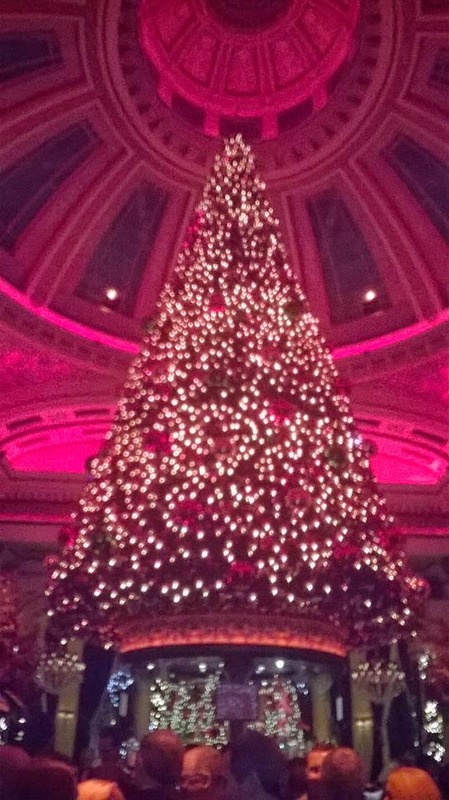 Instead of our usual Christmas dinner followed by a couple of drinks, my work decided to purchase us all tickets to an Alzheimer's Scotland Ball at the George Hotel in Edinburgh a couple of weeks ago. The night was packed with lots of yummy food, on-table entertainers, musicians, balloon artists and very inspirational speakers. I spent a lot of time planning my hair, makeup and outfit for the event, so I thought I'd go into detail of the outfit I wore for you today. In my previous post, I wrote a tutorial on how I did my makeup with this look. I absolutely adore this dress. The front of the dress is covered with royal blue sequins and the back of the dress has no sequins, just the royal blue silky material. 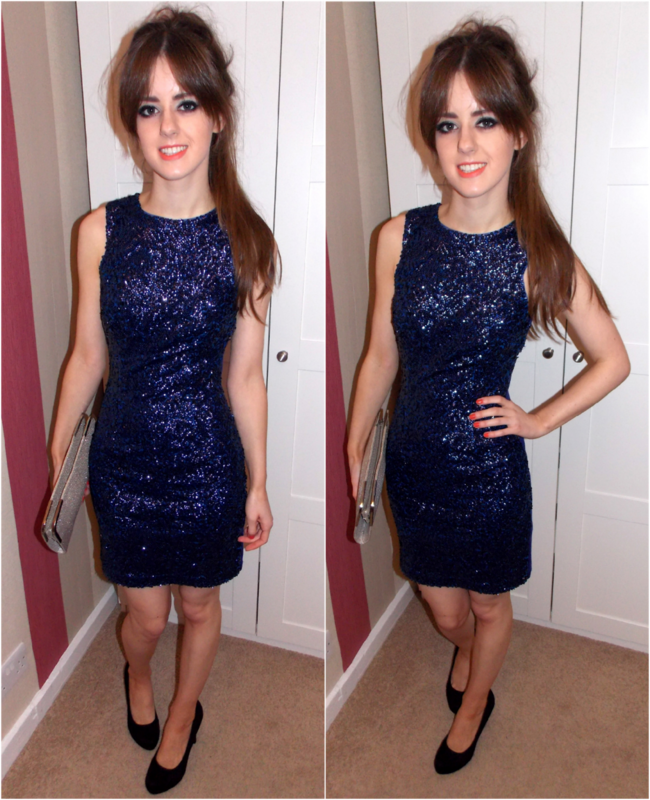 The dress was only £24 and I even got money off that price using my student discount card. The dress was very comfortable during the night and despite it being a body con dress, it didn't ride up my body as I moved from sitting down to standing up. The only annoying thing is that my hair got caught in the sequins so I had to tie it up during the night, but I think the dress is really pretty it shouldn't be hidden behind long hair anyway! I paired the dress with some simple black heels I purchased from New Look a couple of years ago alongside a silver clutch bag from Next I wore for my school leavers prom in 2013. 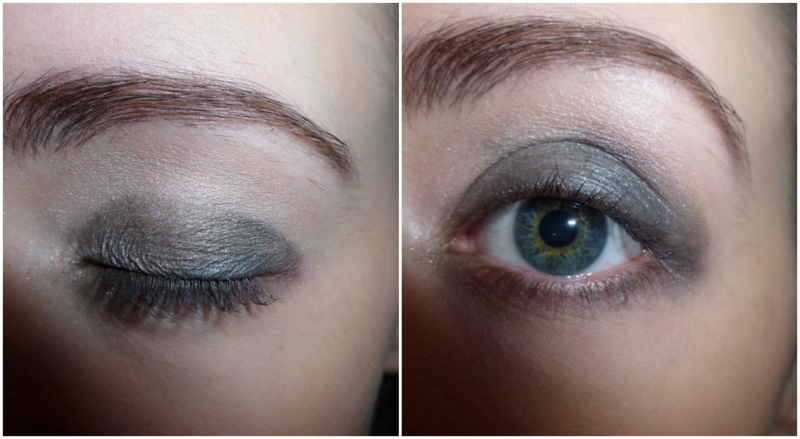 Be sure to check out my previous post to see how I did my makeup for this look. Unfortunately, I have University exams up until the 18th of December, so I won't be as active with blog posts up until then. Please leave me some blog post ideas in the comments as I'm hoping to start planning my 2015 blog posts straight after my exams finish. What are your plans for Christmas? Do you have any special Christmas traditions?